Sacramento CERT training is provided to applicants at no cost. Funding for training is made possible through grants the Fire Department receives from the Department of Homeland Security, Sacramento CERT fundraising events, and donations from citizens and companies in the Sacramento region. We offer both CERT qualification training courses and specialized advanced training. The Level III Community Emergency Response Team (CERT) Program educates people about disaster preparedness for hazards that may impact their area and trains them in basic disaster response skills, such as fire safety, light search and rescue, team organization, and disaster medical operations. Using the training learned in the classroom and during exercises, CERT members can assist others in their neighborhood or workplace following an event when professional responders are not immediately available to help. This is the entry level qualification for the Sacramento Community Emergency Response Team. This program involves training over a three week period, typically with Tuesday night and Saturday sessions. Students can click on any of the links above to access the FEMA materials used for these courses. Level III CERT qualification is a pre-requisite for all advanced training, and for participating in any CERT activities. Classes are scheduled periodically. Please use the “Join CERT” form to request being added to the roster for our upcoming classes. The Sacramento CERT team is organized into Battalions based on their home address (north or south of the American River). This gives the members a chance to get to know everyone else in their area, and to meet and plan what they would do in the event that something were to happen in their area. Those belonging to the City CERT and residing outside the city limits are welcome to associate with the closest group to their residence and to be an active member of CERT. In the Level II qualification program, volunteers build on the basic training to provide skills necessary to work with the Sacramento CERT team in coordinated activities when assisting professional responders in emergency response situations. Upon completion of this level, CERT volunteers are sworn in as Disaster Service Workers affiliated with the Sacramento Fire Department. The requirements for this qualification are a mix of American Red Cross classes, National Incident Management System (NIMS)/CalEMA Standardized Emergency Management System (CalSEMS) classes, and specialized CERT classes. The American Red Cross classes can be taken through the American Red Cross web site. The online classes must be taken by the students at their own convenience, using the links below. And finally, the specialized CERT classes are provided directly by our CERT instructors. To register on the ARC EDGE system, follow the instructions in this document. You can download the course materials for some courses before taking the actual course. Some members find it easier to take notes using the downloaded materials to refer to when completing the final course exam. Links to the materials are found under each course link below. Students must first obtain a FEMA Student ID number via this link. Students must first obtain a FEMA Student ID number via this link. You must also register with the California Specialized Training Institute (CSTI) to take the on line class. Instructions on how to register, how to find the SEMS G606 course, and how to print the certificate after you complete the class can be found here. Note: A criminal background check may also be required. Upon completion of all courses, volunteers must submit all records to the Training Officer for review before being officially qualified. After qualification, CERT members will receive a new hard hat and vest, as well as official Sacramento Fire Department CERT identification cards. This is our most advanced qualification, which includes advanced training in first aid. This qualification provides access to all CERT activities and exercises. The qualification includes CPR for the professional rescuer and Emergency Medical Responder. Course length is approximately 56 hours of lecture plus hands-on demonstrations and evaluations. Sacramento CERT is an ASHI approved training center. These courses are provided annually by CERT instructors, or can be taken as equivalent courses from the American Red Cross. Level I qualification is based on certification and training that is required to be renewed every two years with a minimum of 16 hours of training. The Sacramento Community Emergency Response Team has several specialty teams that provide unique opportunities to help in emergency situations. The following is a partial list of our specially trained groups. 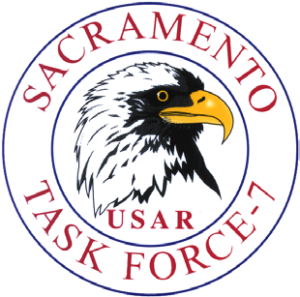 Some area CERT members have also been trained by the California Task Force 7 Urban Search and Rescue Team to assist with their deployment and return whenever they are activated by FEMA to a natural disaster or terrorist event. Currently we are the only CERT team in the United States to have received this training. In addition we have other training in skills with the US&R team such as heavy cribbing, shoring and breaching. We also have a Communications group of CERT members who are licensed Ham Radio operators that are vital to the community in a disaster. 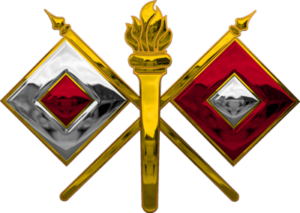 Many of of our members have been deployed around the United States, assisting with a variety of disasters. 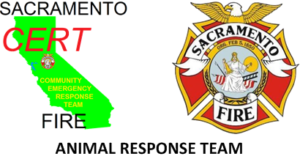 Sacramento CERT has a group of members who are specially trained in animal rescue and sheltering. During disasters this team can set up a field shelter to house domesticated pets, allowing their owners to safely evacuate with the knowledge their pets will be safe.